Because it*s almost Halloween I thought it would be fun to share my not so spooky Halloween Pocket Letter that I created for Aideen on YouTube. I absolutely loved how it turned out. 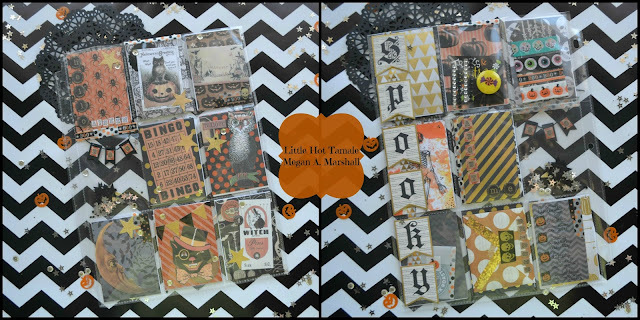 <3 My pocket letter is adorned with vintage Halloween ephemera from Tim Holtz with Recollection paper for the background. I hope everyone is having fun and enjoying the fall weather!